Nikki is on a roll with breakfast! Last night she devised a plan to surprise me with baked french toast, and got to work while I was taking a nap. Sneaky devil that Nicole, I am going to have to watch her more closely. Some coffee with cinnamon and freshly squeezed grapefruit juice from her new juicer rounded out breakfast. This recipe is ideal to serve to overnight guests since it scales well and most of it can be prepared ahead of time. Another benefit is the lack of butter, so it is also a little less calorie dense than your run of the mill french toast recipe. 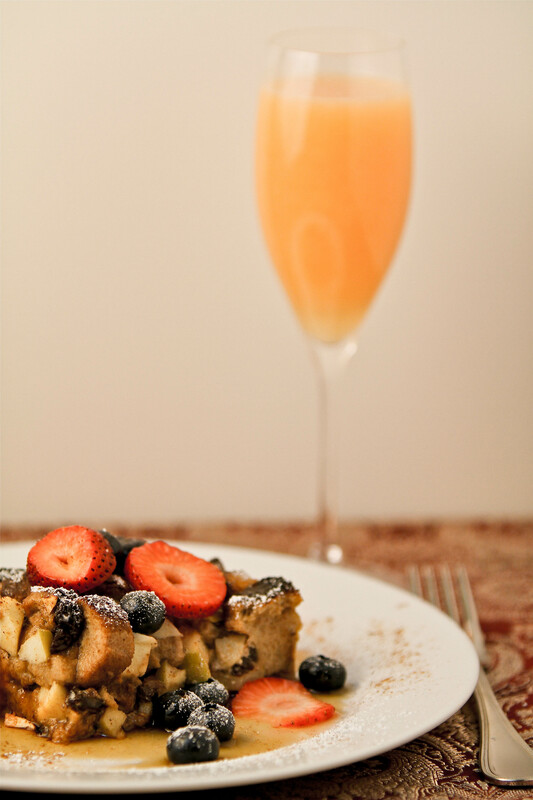 When we eventually open up our bed and breakfast, we’ll be serving baked french toast often. You can do everything except baking ahead of time and refrigerate for up to a day. Nicole adapted this recipe from the Eating Well website. Nikki took good care of you while napping. The french toast look wonderful. 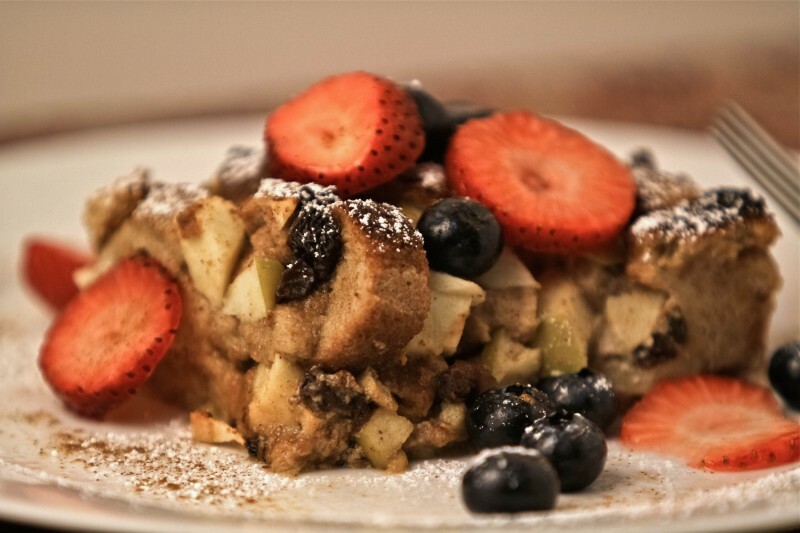 I love french toast and having a little less calorie dense, even better. Another spoiled rotten morning! I am sure you deserve it, too! The photography here is Gwojis! This is definitely b and b fare. I would love to run one in my second lifetime, too! I am SO glad I caught this… I have begun to depend upon you to give me my heads up! But, today is Sunday. It is cold (snow in Edmonton) first time in over 80 years at this time of year. Shocking and sad when I look at my freshly planted tomatoes… etc. However… I am here to read your Sunday Sauce recipe. Meatballs have looooong been done and are int he freezer. Ribs are thawed… groceries bought… I am doing an invotini or braciole for mine, too… so the meat has been frozen and then thinly sliced… and now… just reading everything again to get this going! I am intimidated, but NOT daunted!